ST. LOUIS — Matt Albers got his first save for Milwaukee, retiring Kolten Wong and Dexter Fowler to strand a pair of runners, and the Brewers beat the St. Louis Cardinals 3-2 Wednesday. St. Louis has lost three of four series this season. 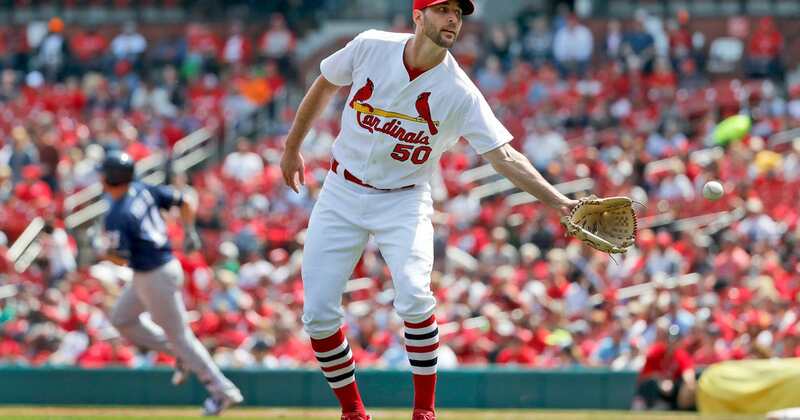 The Cardinals’ starting lineup was missing Fowler, Paul DeJong and Yadier Molina, who served a one-game suspension stemming from an altercation with Arizona manager last weekend. Milwaukee built a 3-0 lead on home runs by Hernaz Perez in the second and Eric Thames in the third followed by Jonathan Villar‘s RBI groundout in the fifth. Thames’ fifth home run of the season went just over the glove of right fielder Harrison Bader, who jumped at the 9-foot fence and looked at his glove in disbelief after he failed to snag the ball.